group. Don't settle~rent with us! We can negotiate an even BETTER rate if you come mid-week. don't have add-on "fees" to our rent prices. At our homes "what you see is what you pay!" master suite, AND a Hottub. Den~ day bed with a pull out trundle. 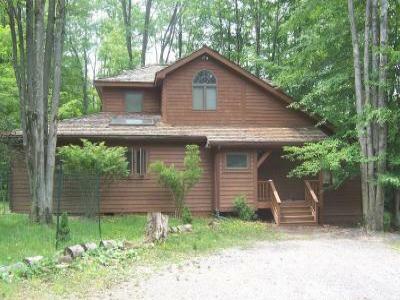 *at the base of Cabin Mountain, as close as 150 yds from the slopes. not to hear the snow equipment. *check out the picture of the den for your inside time. kids. Window in the den for safety. King bed in Master suite. Oversized full-bath. large 2 person tub. **Den~ cable TV, DVD,CD, VCR, games, etc. ceiling fan here also. ACTIVITY PLANNER on the owners web site!! Virginia ~~we do it all. Timberline Resort. Cass Railroad state park is close-by. See "Activity Planner" on the Front Page of Our Website. you get the best rate!So we can give you the most competitive price. we will match their best deal!! exact quote. We have NO extra fees, hottub costs, maintenance etc. If you find a better place with the same amenities, let us match it. This would be a total sale. Partial or time-share not considered.